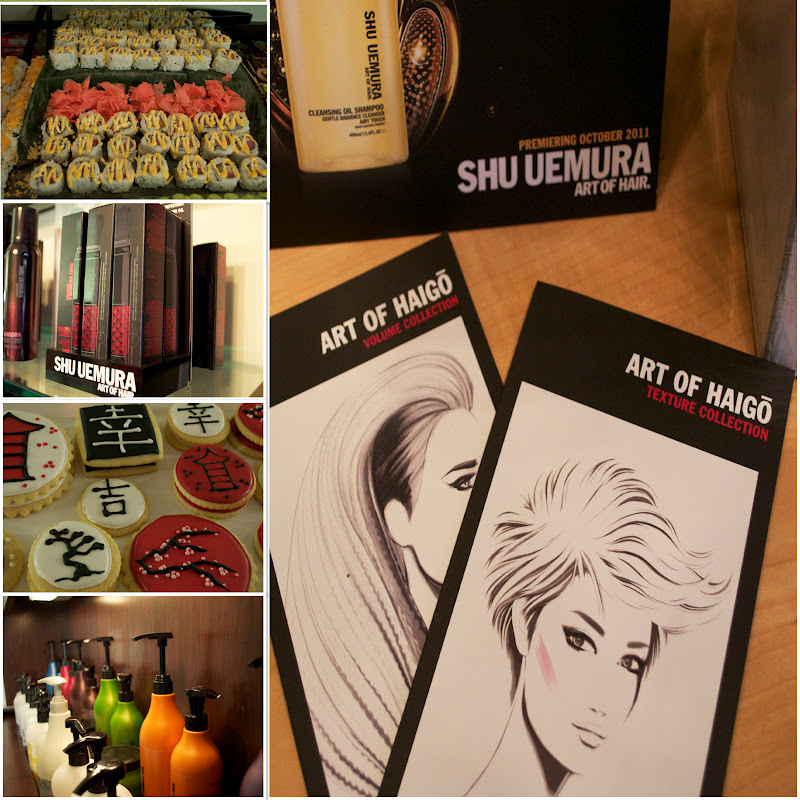 I attended the launch of Shu Uemura - Art of Hair at the exclusive Shelby Herrick Salon last week. 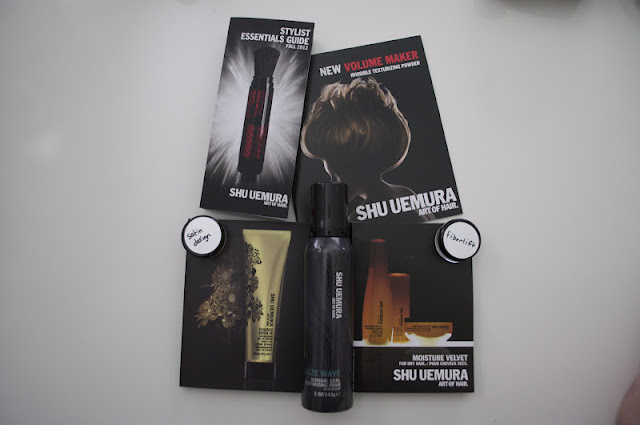 Shelby Herrick Salon, located in Fairway Kansas is the only salon offering this luxury hair care collection in the state, and only one of two percent of salons nationwide, to launch and offer the full line hair care line of Shu Uemura - Art of Hair. 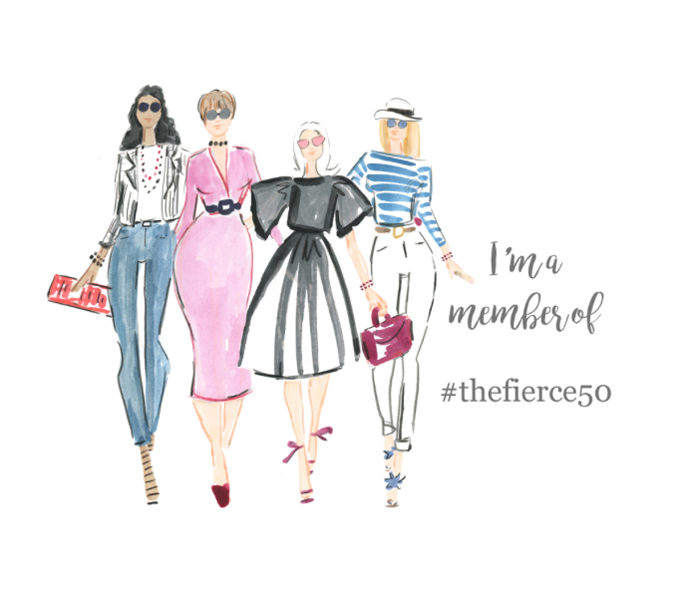 It was a raining night in Kansas and several bloggers and myself braved the yucky weather to attend, and we were not disappointed. Shelby had a wonderful appetizer bar with sushi, and wine, and a delectable tray of these darling sugar cookies. (my weakness for sure). 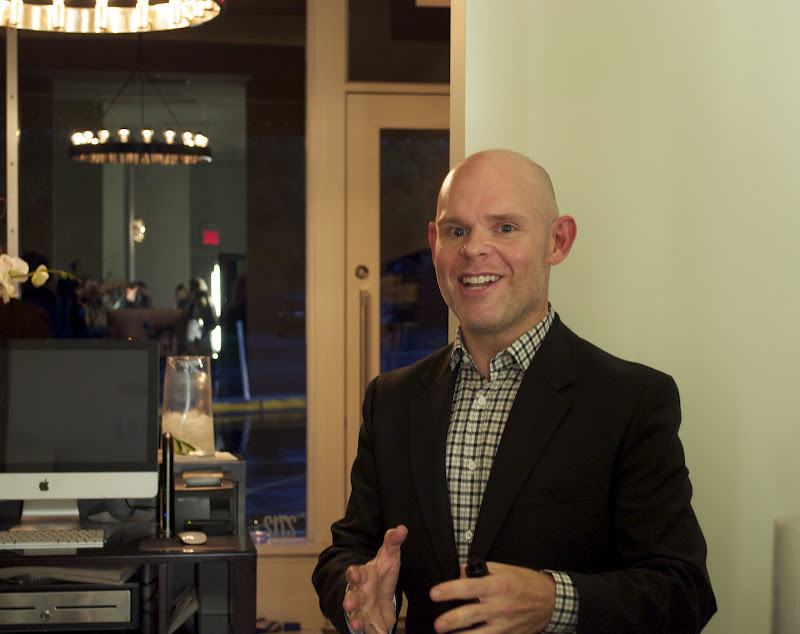 His salon is sleek and modern and invites you to allow yourself to be pampered. This is Shelby, he gave a presentation on the Art of hair and what that really means. 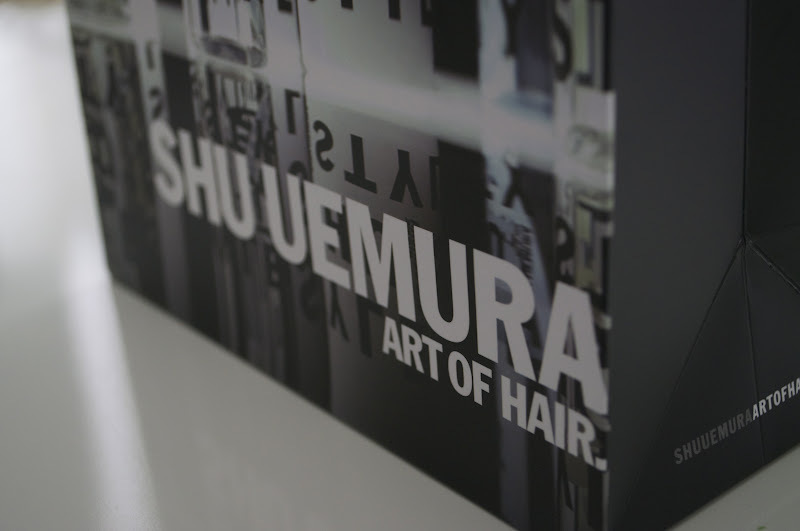 The Shu Uemura - Art of Hair collection is influenced by Eastern purity with an emphasis on rare and precious ingredients derived from Japanese culture. 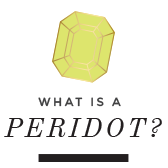 The core ingredients used in the collection offer a holist influence that combines beauty and well being. I just had to take an infinity shot! So now lets talk about my hair. Shelby gave each attendee a personal evaluation on their hair needs, and then customized a gift bag to take home and try. These are my products. 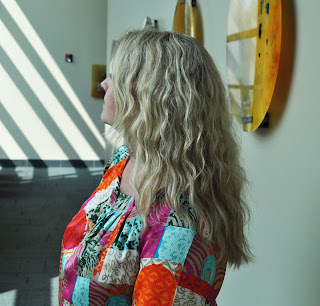 I have naturally curly hair, with a lot of body and Shelby wanted to play up on that quality. I was glad he did. As you can see by the past few post, I have longer, full body hair. It is soft, and the curls flow easily. Not like some products I have used that leave your curls stiff, or crunchy! I love the velvet shampoo, and the Kaze wave. I can really tell a difference in how my hair feels after shampooing, and styling. I will have to make a stop by Shelby's salon next time I head to the plaza and pick up some product! This is not a sponsored post, this is purely my personal opinion. I love how your hair turned out! It has so much body. Im always jealous of curly hair! 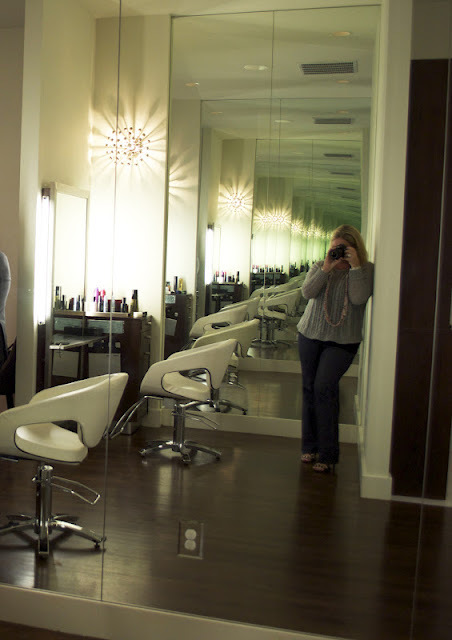 The salon looks awesome!